We were very fortunate today to have a STEM Ambassador in school from Rolls-Royce in Birmingham. Ruby Class did some work on circuits and design. Emerald Class made some cars that were powered by balloons: they had to test them to see which vehicle travelled the furthest. 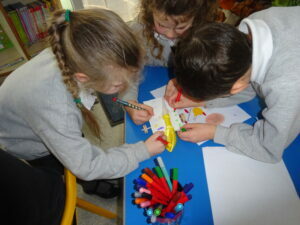 Sapphire Class also made balloon powered cars, but they had to develop their own designs.